You can't go wrong with a brand new and top quality 4PC Black 3D Print Floor Mats available at the best deal! Brand new 4PC Black 3D Print Floor Mats. Wrap your car's floor board with a new set of K2 Motor's 3D Print Floor Mats. These thick and specially ridged designs allow you to capture the moisture and dirt into the threads to keep them away from your carpets. 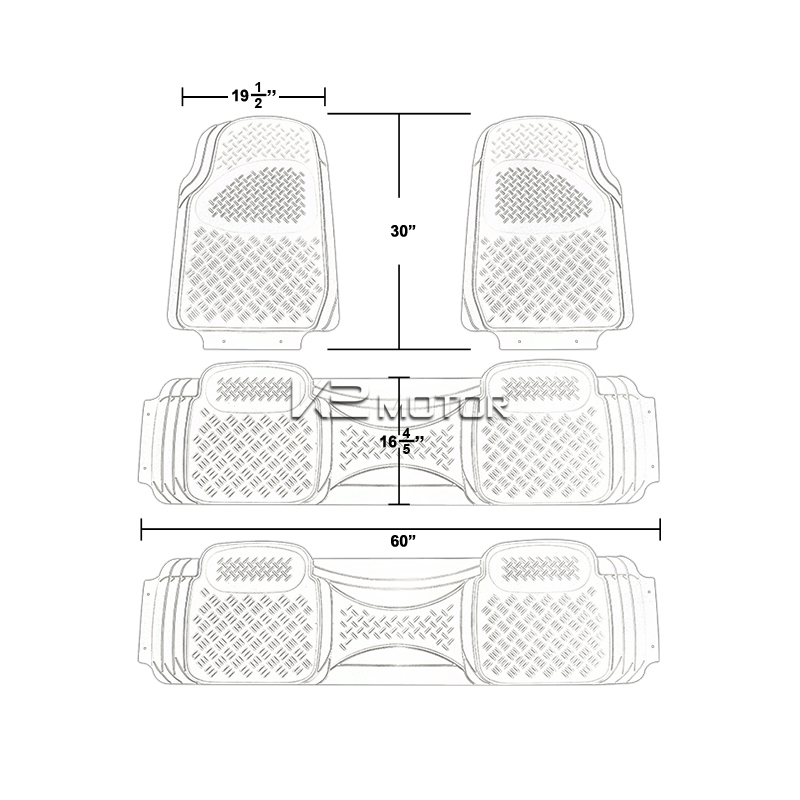 Each mat boasts a universal shape designed to be compatible with most trucks, vans and SUVs. These weather proof floor mats are created for your convenience to clean with just a couple of sprays from a water hose.